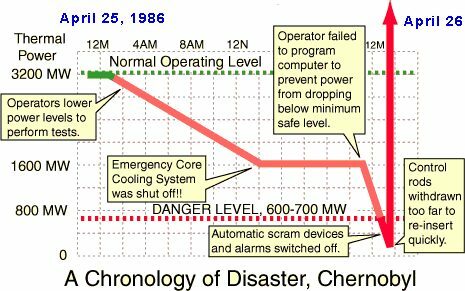 "It was like airplane pilots experimenting with the engines in flight..."
On 26 April, 1986, the worst commercial nuclear accident in history occurred during a test at the Chernobyl nuclear power plant, which lies near the Belarus-Ukraine border, 100 km north of Kiev, Ukraine. 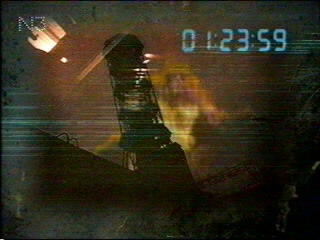 At 1:23:58 am local time, the plant's Unit 4 reactor was rocked by a steam explosion, followed by a hydrogen explosion and a fire resulting in temperatures over 2,000°C. The 1,000 ton reactor lid was blown off the core, the nuclear fuel rods melted, and more than 100 times the radiation of Hiroshima and Nagasaki combined was released into the atmosphere over the 10 days that the fire burned. 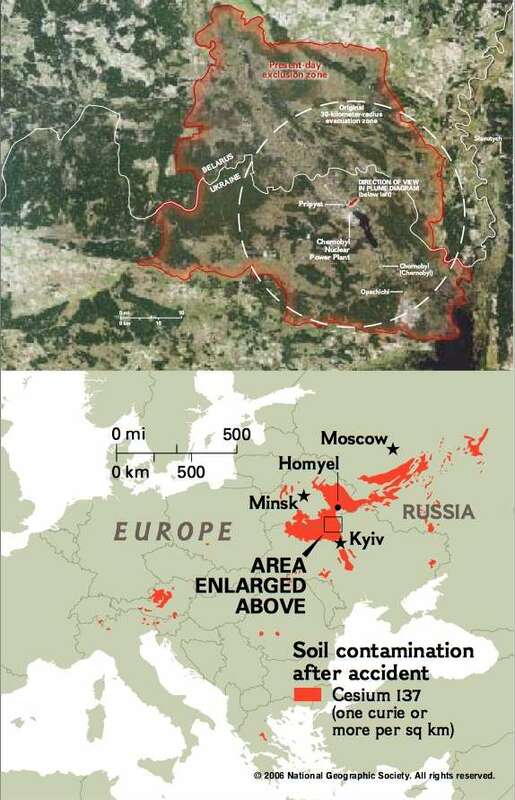 Many of the small towns and villages close to Chernobyl were rendered uninhabitable, and radioactive fallout from the accident was detected all over Europe. On that day, the lives of over 130,000 people evacuees from the 30 km radius "exclusion zone" (left, click to enlarge) were changed in a way that is difficult, if not impossible, for most of us to imagine. 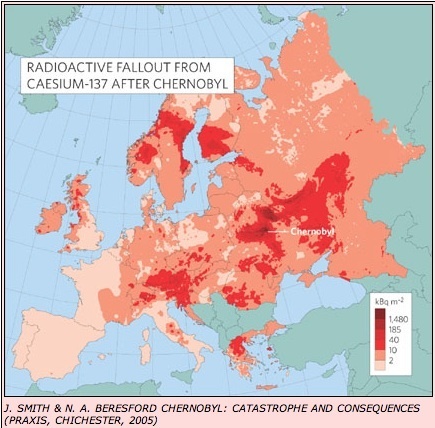 Most of the recent media discussion of the Chernobyl catastrophe has focused on the controversy about the number of people who have died - and will die - as a result of the accident. In other words, the media has largely failed to see the people behind the statistics. The purpose of this post is not to discuss the numbers, but to put a human face on the legacy of that day in April 1986. This post is dedicated to those who died, and those who are still with us today. Obviously, the first witnesses of the Chernobyl accident were the nuclear plant personnel. The UK Guardian/Observer has interviews with several of the technicians who actually survived what should have been lethal doses of radiation. So, before you meet them, it's important that you know at least a few more general details about the accident. The Chernobyl nuclear plant was actually four RBMK reactors ("Reactor Bolshoi Moschnosti Kanalynyi" or "Channelized Large Power Reactor"). They had a number of inherent design flaws, and some of the specific problems with Unit 4 were kept secret by the KGB until 2003 (for those who can read Russian, click here for images of one of the documents). there was a massive steam explosion, followed by another explosion and a subsequent graphite fire that burned for 10 days. Like the quote above the fold, from Dr. Legaslov, the safety violations were analogous to in-flight aircraft engine experiments, with absolutely catastrophic consequences. 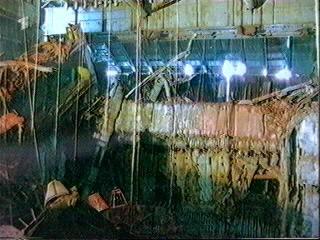 Yuvchenko was in his office on Level 12.5, halfway between the third and fourth reactors, when the blast came. It buckled the metre-thick walls, the door blew in and the lights went out: he thought that war had finally broken out with the West. It was an apocalyptic sight: flames shot into the sky; sparks showered from the severed 6,000-volt cables hanging from the smashed circulation pumps; burst water and nitrogen tanks dangled in the air above the red-hot wreckage of the reactor hall; and from the centre of the building, an unearthly, delicate, blue-white light shot upwards into the night - a shaft of ionising radiation from the exposed core. 'I remember thinking how beautiful it was,' Yuvchenko says. Momentarily transfixed by the eerie glow - known as Cherenkov's Light - Yuvchenko was dragged away by [technician] Tregub, who realised they were standing in a lethal field of gamma radiation. The hospital to which he refers is Moscow's Hospital Number 6, where most of the acute radiation exposure patients were treated - if they could be treated (pdf, a harrowing first-hand account of an American physician's visit to Hospital 6 after the accident). Most of the reactor staff who were there that night died. 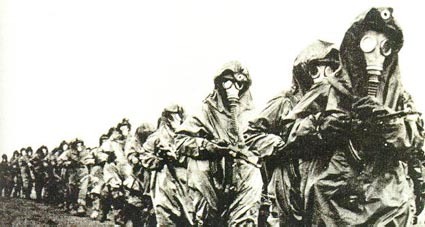 "Liquidators" (photo at left) were the 600,000 soldiers who were assigned to decontamination/cleanup duty as well as construction of the sarcophagus (the structure built over the reactor). Some of the liquidators were called "bio-robots"; because of the intense radiation, mechanical robots were useless for cleaning up graphite and fuel, so humans did the job (click here for video footage). 'We'd taken such a high dose,' the pilot says now, 'he thought we were already dead.' Later, Volodin discovered that the plume he had flown through was emitting 1,500 roentgen an hour. Volodin only told the author of the article that he has heart problems, and gave no further details about his health. He received a medal for his work as a liquidator/pilot as well as a special liquidators' pension. Greenpeace has also published an amazing series of stories and interviews for the 20th anniversary of the Chernobyl disaster. ... a committee of doctors decided she should have a 'Chernobyl certificate' because Annya's father, Vacheslav, was from a village highly contaminated as a result of Chernobyl. They visited Zakopytye often before the village was destroyed and buried. Annya carries certificate no. 000358. It reads: "This person has the right to the privileges that are given by the government of the Republic of Belarus for the victims of the Chernobyl catastrophe as specified under article 18/ issued by the Gomel Municipality." The much sought-after piece of paper gives the holder access to certain health institutions, a selection of free medicines, a 50 percent discount on utilities bills, and free public transport. Recently Annya was rushed into hospital and kept on artificial respiration at the intensive care unit for 17 days. This has become almost a routine since the brain tumour reappeared in 2000. Back home, she lies back onto her pillows like a wilted plant, too weak to move, surrounded by her cuddly toys. Elena and Irina are also "children of Chernobyl". There are thousands more. .... there are two compelling reasons why this tragedy must not be forgotten. First, if we forget Chornobyl, we increase the risk of more such technological and environmental disasters in the future. Second, more than seven million of our fellow human beings do not have the luxury of forgetting. They are still suffering, every day, as a result of what happened 14 years ago. Indeed, the legacy of Chornobyl will be with us, and with our descendants, for generations to come. We do not have the luxury of forgetting, either. I've posted twice on this recently - once to commemorate the anniversary, once to call people's attention to the fact that Chernobyl colors much of our thinking on nuclear power, and it should not! The operators at Chernobyl practically blew up their own reactor. Hubris tells us nothing like this can ever happen again. And nothing exactly like this will ever happen again. Next time it will be something else - not Chernobyl, not Bhopal - something else equally or more deadly. Somebody will have told us then, too, that nothing can go wrong. nice blog & nice posting as well, keep it up!!!!!!! !